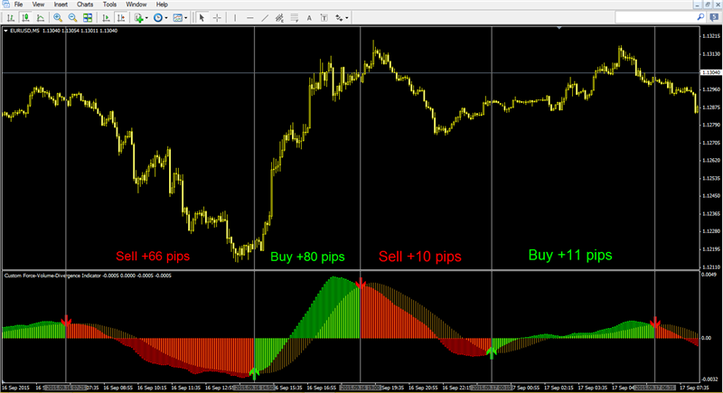 Custom "Force-Volume-Divergence" indicator is a trend-momentum indicator programmed for Metatrader 4 plataform. Custom Force-Volume-Divergence Indicator is based on 3 main significatives, that professional traders always use in trading systems. 2)Volume index helps to determine the strength and sustainability of the trend of market. Up(Bull) trend is considered to be strong and stable, if the volume index increases and price moves up. When the price starts to decrease, and the volume is reduced, it always mean that the upward trend is in the end phase. The price still may rise slightly, but as soon as the Bear traders take sell control, the price will get down. 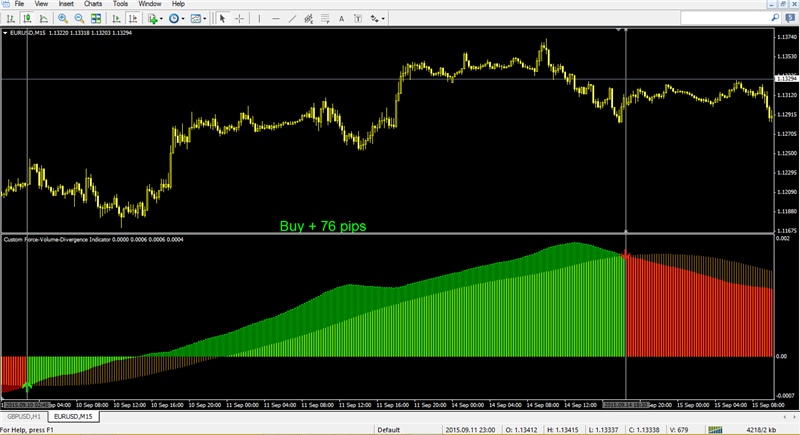 And this you can also predict using volume index. 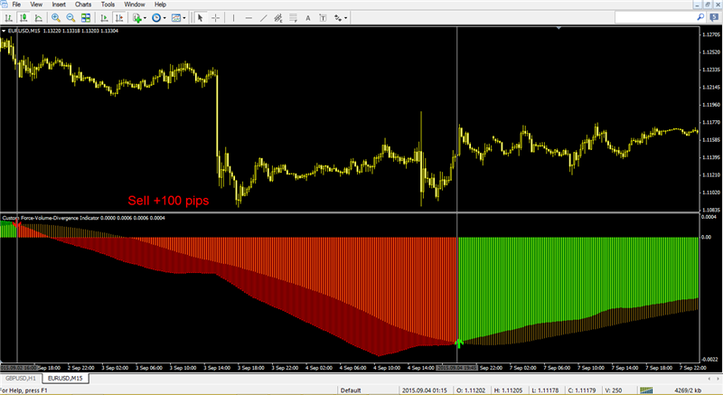 In the pictures Force-Volume-Divergence" indicator in action. Kindly share with me the indicator if you mind. It looks like a pretty much good indicator. I just test it - I'm a BIg Trend Trader. Можно ли использовать его на дневном таймфрейме (Daily) и каковы настройки? Could you please upload a template. My Force looks different altough the signals are the same. Why doesn't it give a pop up alarm when a signal arrow appears? Please, can it be used on the Daily Time Frame and what is the settings? Thanks. Well done! Keep the good work up!! Thanks for sharing!!! Ok , thank you FXD. This indicator does not repaint. Thanks for system . A question : Force-Volume-Divergence indicator repaint ?